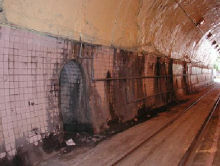 Proper and effective drainage is necessary for the upkeep and safety of tunnels. Excessive water leakage can crack tunnel walls and destabilize them. 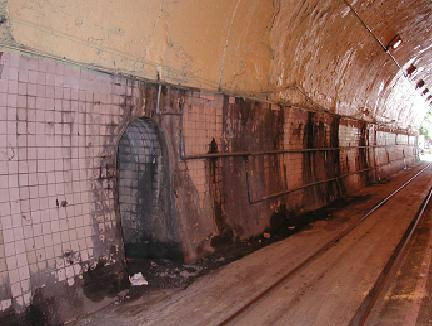 Furthermore, excessive water buildup inside tunnels can and has caused railway accidents in train tunnels. 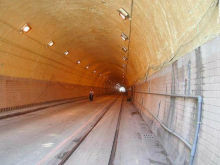 SMART DRAIN� is an effective and long lasting solution for tunnel drainage. 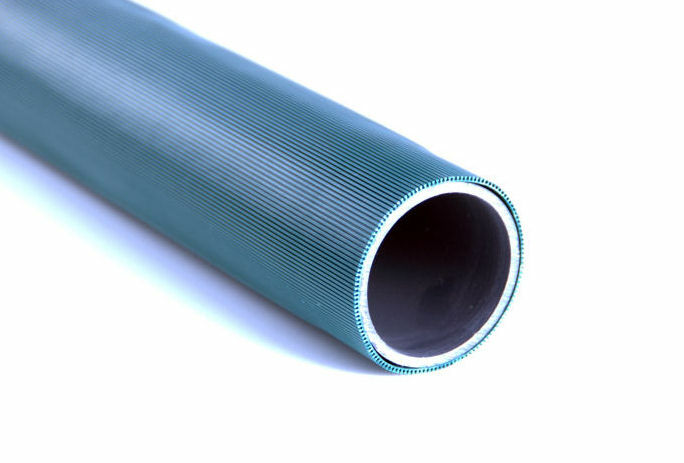 The patented SMART DRAIN� belting is also available in pipe form. 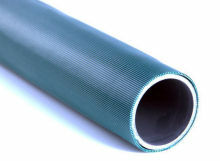 The belting is wrapped around and affixed to standard PVC piping and joined together by special connectors that allow water, but not sediment, to enter into the PVC. This special SMART DRAIN� piping is then inserted into drainage holes drilled into the tunnel walls. This layout drains water buildup against the tunnel walls, relieving pressure stress and seepage. Take a look at the adjoining pictures where SMART DRAIN� was successfully employed in rehabilitating a tunnel that suffered from severe water damage. The SMART DRAIN� piping was inserted into the tunnel walls to a depth of 2 meters and then a collection system was installed to collect the drained water and deposit it in the tunnels existing drains. As you can see, SMART DRAIN� effectively drained the water from around the tunnel, stopping the damage caused by seepage. Contact us to see how we can help you design an effective and long lasting drainage system for your tunnel project.